...this is what you'd get! 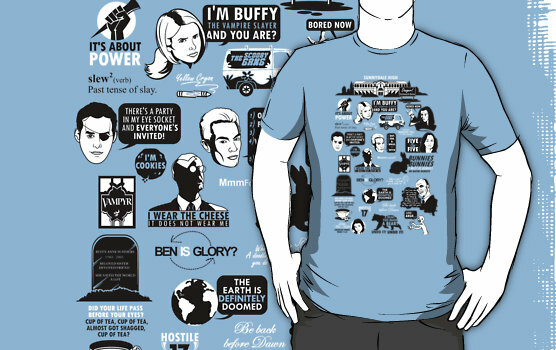 A fantastic t-shirt of 25 Buffy quotes, by Tom Trager. Buy it on Red Bubble. 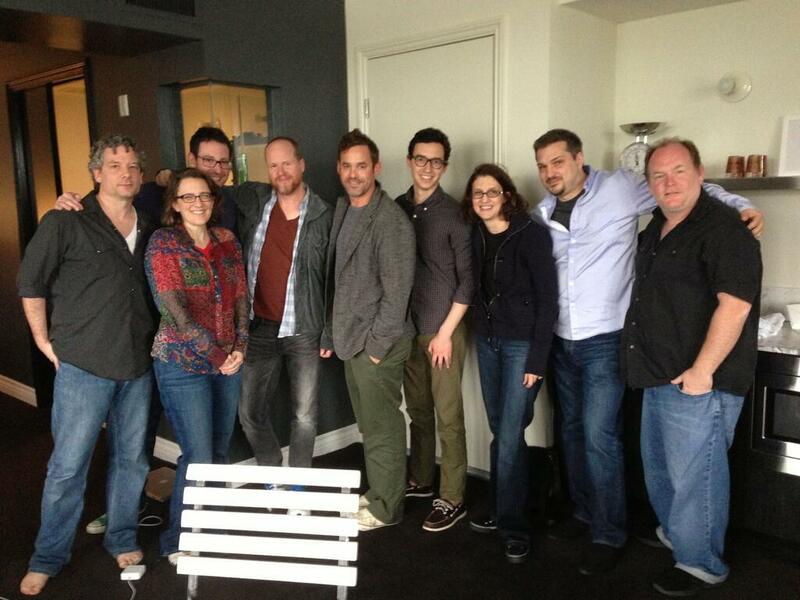 Recap of Last Night's Twitter Chat with the Buffyverse S9 Writers! Last night we had the immense pleasure of co-hosting a twitter chat with Dark Horse/all the major players of the Buffyverse writing team and it was bananas! We got some hints, we got some scary, nail-biting tidbits and we got photo evidence that there was a top-secret Season 10 Summit in LA some time last month - verified by Angel & Faith writer Christos Gage! If you missed it, see below for a full recap. 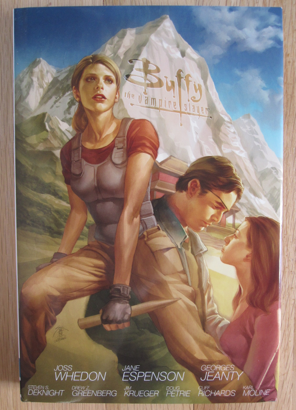 Thanks to Dark Horse and all the Buffy Season 9 writers! Jane Espenson ‏@JaneEspenson Even with his huge success in features, Joss was so eager to dive into talk about the books. Inspiring. Tonight's the Night! 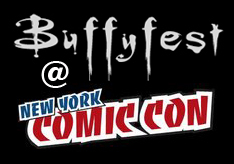 Join Buffyfest & Dark Horse for a Live Twitter Chat with the Buffyverse Writers! Reminder! The Buffyverse comics are all gearing up for a major finale. Tonight we're co-hosting a GIGANTIC live chat event with Dark Horse Comics and all the MAJOR writers on the current Whedonverse comics roster! Get your questions answered from the creators themselves! 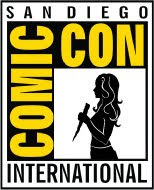 Follow: @andrewchambliss, @christosgage, @janeEspenson, @drewZachary, @victorgischler, @jeffparker @DarkHorseComics and of course @Buffyfest . In addition to that awesomeness, there will be some crazy prizes too! Spread the word and don't miss it! Tonight at 5pm PT/8pm EST. Joss Whedon on 'The Avengers 2': "We're All Our Own Worst Enemy"
Prior to winning, Joss Whedon spoke to The Hollywood Reporter on the red carpet at the MTV Movie Awards last night. He let on that he's is already hard at work on the sequel to The Avengers and said he's nearly done with the first draft. "It's been enormous fun, followed by deep, deep panic," Joss told THR. "I'm in the deep panic stage now. Actually, I've gone past panic into a vague nether-stage." 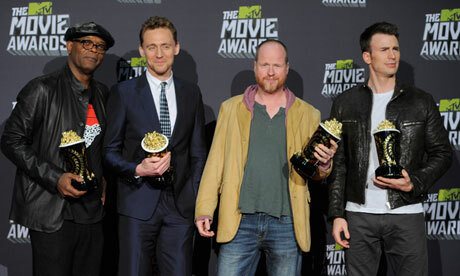 Joss Whedon & Avengers Hotties win at the MTV Movie Awards, Get Cut Off. Wah Wah! 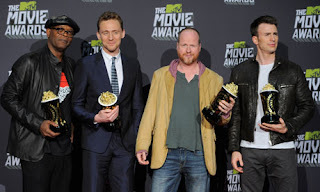 Last night's MTV Movie Awards was bizarre, to say the least....but I really didn't expect to see Joss Whedon there in his skinny jeans winning the awards for "Best Fight" AND "Movie of the Year" alongside hotties Tom Hiddleston, Chris Evans and um, Samuel L. Jackson (sure, why not?) Best line? "What's the opposite of humbled? We're Biebered to be standing here." HA! But even though I didn't notice at the time, Perez Hilton reports "MTV pulled an OSCAR and cut Joss Whedon’s mic during his acceptance speech. NOT COOL." Oh snap! We're Co-Hosting a Live Twitter Chat With a Ton of Buffy S.9 Writers and Major Prizes! In addition to getting soothing explanations, we'll be giving out some MAJOR PRIZES! Dark Horse will be sending 3 lucky winners signed Angel & Faith comics and one Grand Prize winner will win all four (4) volumes aka the ENTIRE RUN of the Season 8 Library Edition Hardcovers. Holy SMACK! 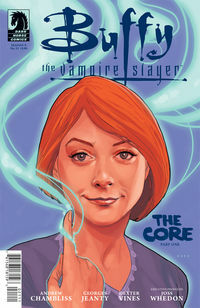 Buffy the Vampire Slayer Season 9 is gearing up for the final arcs of Buffy the Vampire Slayer and Angel & Faith comics and we're stoked to see how this season's climax brings the scoobies back together. We've joined forces with Buffyfest to cohost a chat with all of the writers of the Season 9 comics! Join @buffyfest and @DarkHorseComics next Thursday, April 18th at 5pm Pacific Time for a Live Twitter Chat with Andrew Chambliss, Christos Gage, Jane Espenson, Drew Greenberg, Victor Gischler, Jeff Parker. We'll be taking over the Dark Horse Twitter feed for one hour next Thursday April 18th to chat with Season 9 Writers about the season and the various comics that have brought us to this final arc and what it's like writing for one of the most beloved pop-culture series! We will host the chat using the #BuffyS9Chat hashtag. Join us to ask your questions about the series, the writing process, and what we can expect from our favorite heroes in the future in this #BuffyS9Chat! Participants will have the opportunity to win prizes! One (1) Grand Prize winner will win all four (4) volumes of the Season 8 Library Edition Hardcovers. Two Other Winners we'll receive a signed copy of Angel & Faith TPB Vol. 1, signed by Christos Gage! We'll pick three (3) random winners that qualify and work with you to ship your prizes to you! Participants must use the Hashtag #BuffyS9Chat in at least 3 separate tweets with appropriate questions or comments. 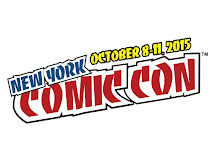 Winners will be chosen randomly at Dark Horse Comics discretion. Make sure you're prepared for this incredible #BuffyS9Chat! We have a Winner of MARCH MADNESS 2013: The "Most Shocking Moment" of the Whedonverse Tourney! March has come to an end and so has our 7th tournament here on Buffyfest. We finally have an answer to a complicated and heavy question: Of all the shocking moments this 'verse has brought us over the years, which is the most abominable? Of those scenes that are usually followed by a black screen saying "Created by Joss Whedon", which was the most atrocious? Which makes you shake your fist in the air and scream "Joss!" more than any other? As we all know, Joss Whedon has killed so many of his beloved characters that it's arguably no longer even shocking. But there were a certain few special deaths that were particularly detestable and scandalous - Tara's is now officially the #1.
Who can say the exact reason why? Tara was a VERY popular character on BTVS and her profoundly moving relationship with Willow is considered a LBGT milestone in television and pop culture. People tend to describe Tara as genuine, compassionate and kind. It was all of these things combined that likely made viewers so devastated at the loss of her spot on the show. At the time of her death, fans pretty much revolted. The backlash and hate mail was considered staggering by the Mutant Enemy team and the media that covered it. It clearly still stings to this day! RIP, Tara....and damn you Joss Whedon. Well that's all for this year! If you missed the tournament, Click here to see how the entire month of shockers went down. Thanks so much to everyone who played this year's March Madness and the hundreds of people who voted. Until next time!